Here at this page you’ll have POF Jobs Wah Cantt 2016 Advertisement Latest Application Form Download. 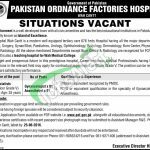 Jobs in POF Pakistan Ordnance Factories Hospital are available, it is a modern well equipped tertiary care 676 beds hospital having all major departments related to medical field. For this Hospital POF has announced latest opportunities for which it invites applications from the Pakistani Nationals who are well educated, hardworking and well disciplined candidates for the vacant post of Specialists (Officer Grade V) in two different categories such as Gynaecologist and Anaesthetist. Appointment will be on contractual basis but it can be permanent on satisfactory performance. Candidates willing to apply for this post should possess relevant qualification and experience such as candidates should be MBBS or equivalent recognized by PMDC with FCPS or equivalent qualification in the specialty of Gynaecology and Anaesthesia. So, only suitable candidates should apply as per the following how to apply procedure given below. Candidates have to apply on prescribed form of POF which can be obtained from www.pof.gov.pk or through proper channel. Duly filled application along with all relevant documents such as educational certificate, experience certificate, CNIC, domicile and recent photographs should reach the following address given below. Last date for submission of application is 25th June, 2016. Candidates should mention clearly the position applied for on the application / envelope. Applications incomplete in any respect and received after due date will not be entertained. Original documents must be presented by applicant at the time of interview. 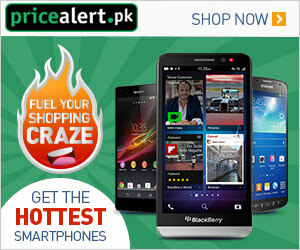 Stay in touch with us and keep visit our site JobsAlert.pk for more jobs. Last Date to Apply: 25th June, 2016. Address: Assistant Manager R&S POF Board Wah Cantt.